Maplewood Police have said the shots reported fired at the Shop ‘n Save parking lot on Friday resulted from a drug deal that took place in a vehicle parked there. On April 27, 2018 at approximately 6:20 p.m., Maplewood Police Officers responded to the adjoining parking lot of Citizens National Bank and Shop ‘n Save, located in the 7300 block of Manchester Road for the report of shots fired. Through investigation, it was determined that three individuals were involved in a drug transaction inside a vehicle parked on the parking lot. While the three subjects were inside the vehicle, one subject was robbed at gunpoint by the driver. After the robbery occurred inside the vehicle, two subjects exited the vehicle, and a brief physical altercation ensued. After the physical altercation just outside the vehicle, one of the three subjects involved, identified as 23 year old Justin Jones, residing in the 4300 block of Compton in St. Louis, Missouri, produced a handgun and began firing towards the vehicle in which the robbery occurred. The vehicle fled the scene at a high rate of speed, and is believed to have been struck by the gunfire of Jones. During the altercation, a 30-year-old woman unrelated to the original incident, was walking in the immediate area with an acquaintance. She was struck once by the errant gunfire of Jones. She was taken to a local hospital where she currently is listed in critical condition. Justin Jones and another subject were taken into custody. The third subject is not currently in custody. 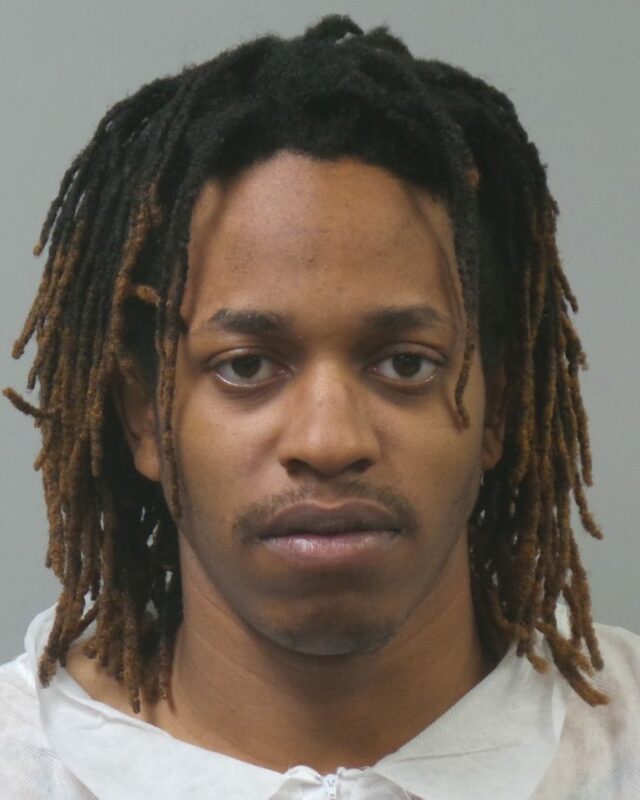 On April 28, 2018 warrants were issued regarding Justin Jones for the charges of Assault 1st Degree, Armed Criminal Action, and Unlawful Use of a Weapon through the St. Louis County Prosecuting Attorney’s Office. Bond was set at $250,000.00. The Maplewood Police are currently seeking the third subject involved, a man believed to be residing in North St. Louis County. The man sought was last seen driving a grey Chrysler 300 with damage from gunfire. Any further inquiries can be directed to Detective Sergeant John LeClerc at 314-646-3630 or j-leclerc@cityofmaplewood. com. Justin Jones was chargesd with Assault 1st Degree, Armed Criminal Action, and Unlawful Use of a Weapon. Time to get rid of the shop n save. Place is a nightmare and a blight on the community. Thats ridiculous! Get rid of a business over a criminals actions in their parking lot? How would anybody come to that conclusion? Very scary. An empty strip mall and parking lot will surely keep crime at bay! As I have said before – I have seen drug deals, junkies shooting up, and other illicit activities take place in and around that Shop n’ Save. Time to take your heads out of the sand…. Mark is correct. We no longer should expect that crimes of this kind are geographically situated. These days, just about anyone can buy a gun and can carry it legally almost anyhere at any time. The resulting proliferation of guns also extends, either legally or illegally, to the bad guys, and there seems to be no intention by lawmakers to address it. The burden by default is on the rest of us to always be aware of our surroundings, whether you are downtown, in Clayton, Wildwwod, South City or Maplewood. I have to wonder at the boldness of a drug deal right on a major busy parking lot at that time of the day. The streets are usually busy that time of day and it is an unfortunate thing to have happen in our town. It seems it happens more and more and I have said for years that this kind of stuff can happen just about anywhere. The bad guys have cars to travel from place to place, they have cell phones and internet to make connections and so many of them carry guns. Thanks to the police for their quick work, the EMTs for theirs and for folks who were around who helped out. The Shop n’ Save is a logistically ideal place for city drug dealers to meet up with county customers in a setting where they hope to go unnoticed. Easy access off Manchester and quick route back home. The county cops are having the same issues with the strip mall off I-55 and Bayless where Jeff Co and suburban buyers meet up with city dealers. Do one dude is from North County, another is in the city a good ways away. Who’s the Maplewood connection? The buyer?